Jorge Tavío Ascanio is Market Development Director for Wealth Management in EMEA. Over the past 11 years, he has covered various client-facing roles within the organization, with a special appetite for co-innovating with clients and partners, bringing solutions to market that are not only technologically innovative, but also transformative from a business perspective. 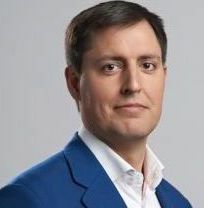 Having previously worked for IBM and Banco Santander, Jorge holds a Bachelor of Science (Honors) degree in Software Engineering with Oxford Brookes University as well as a Master’s in Business Administration specialist in E-Commerce from the Polytechnic University of Madrid. Jorge is a passionate golf player and holds a yacht master license.